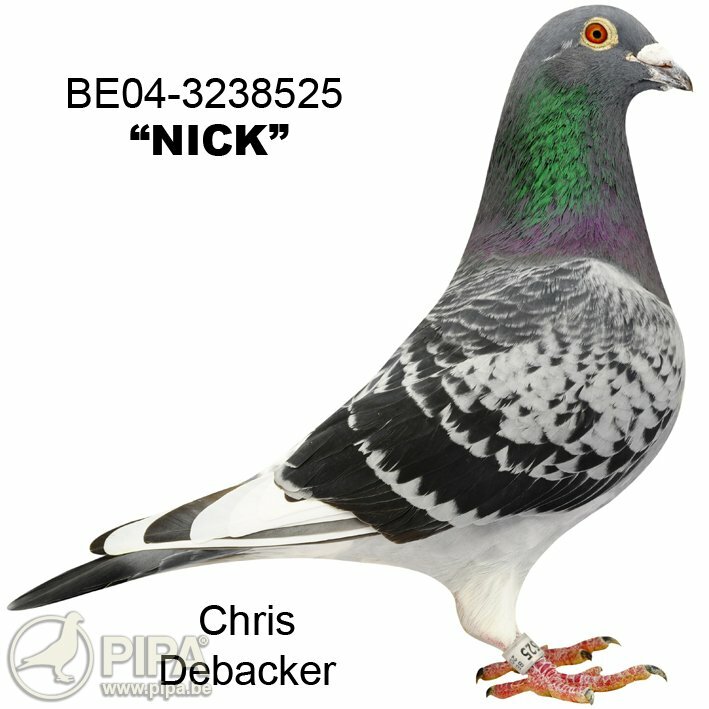 This was Chris Debacker's 2018 season: ace pigeons, provincial victories, a national first prize, and numerous overall top results. It has been another tremendous year for this team, with a prominent role for the Vandenabeele bloodlines. Chris Debacker has been winning provincial first prizes in the middle distance for many years now but he also managed to deliver at national level. Fellow fanciers from the province of West Flanders both fear and admire the pigeon family of this champion. They fear his pigeons because they get spectacular results all year round, but they also admire them, because they know Chris is a great fancier who works hard to develop a world class pigeon breed, which is based around stringent selection. 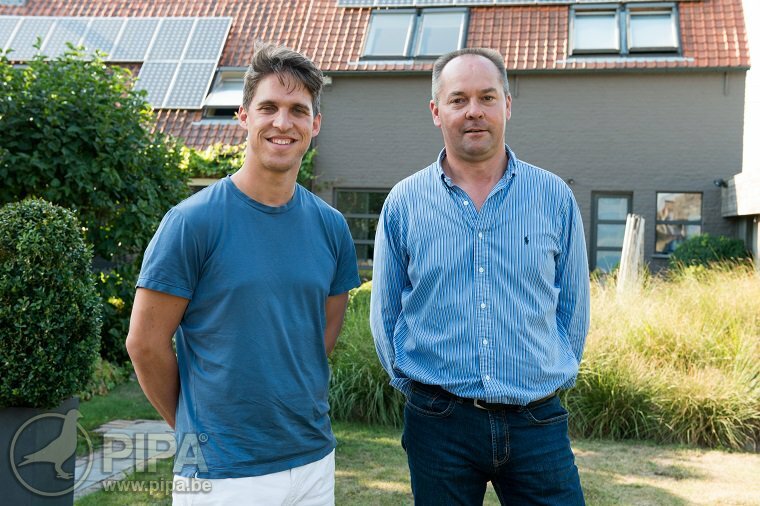 Of course, Chris had a bit of luck as well, coming across a fantastic stock breeder in his loft: Nick became an invaluable breeder for this team, and many of his descendants have been winning top prizes for Team Debacker. the Nick bloodline has in fact become a cornerstone of the pigeon family in Beveren-Leie. Fanciers who claim several provincial first prizes inevitably join the ranks of the country's best players. 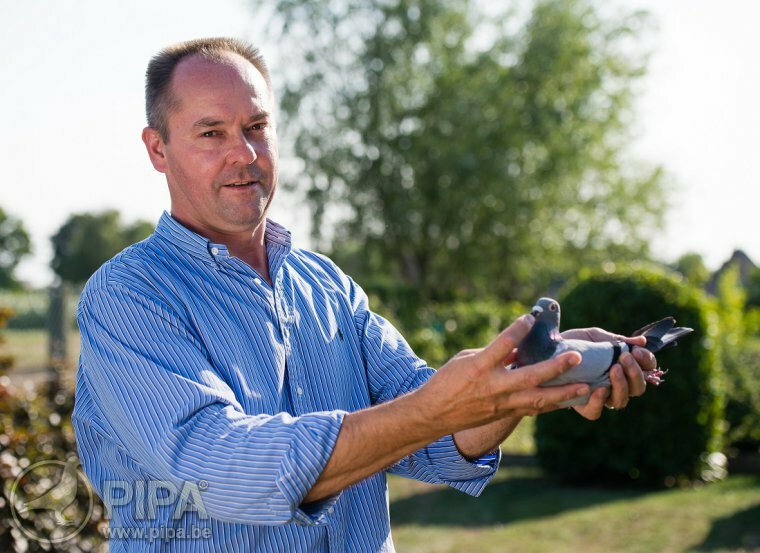 And one of the most renowned pigeon fanciers worldwide also happens to be the main supplier for team Debacker: Gaby Vandenabeele, the grandmaster from Dentergem! 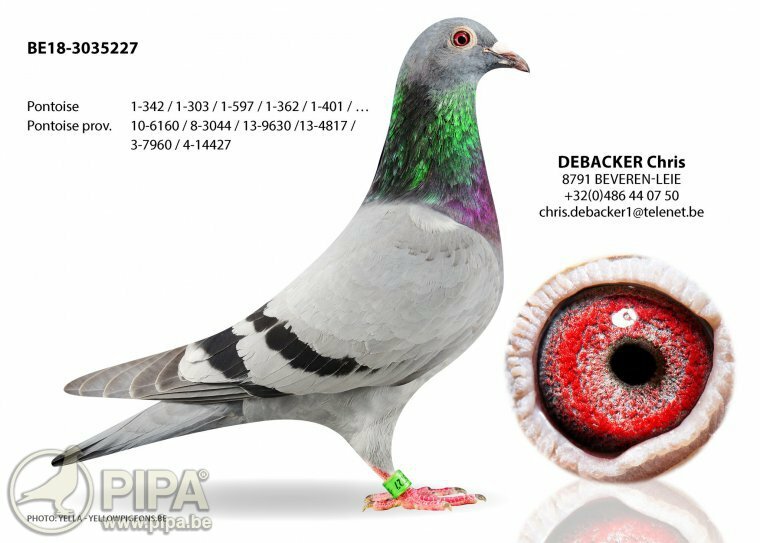 The Vandenabeele bloodlines feature in almost all of Chris's best pigeons: Cilleke, Cesar, Castor Camillo and several other super class birds are related to the pigeon family from Dentergem. Chris Debacker has been leading the field in West Flanders for many years now, with a preference for the provincial middle distance races, since this is where the biggest teams race against each other. He has an impressive 25 first prizes to his name! And it looks like will continue to add first prizes to his palmares in the future, judging from his level of performance in recent years and 2018 in particular. The competition is fierce in the Leie region, which we reckon makes Chris Debacker even more motivated to be on top of his game. Click here for an overview of the 25 provinical victories on Chris Debacker's palmares. 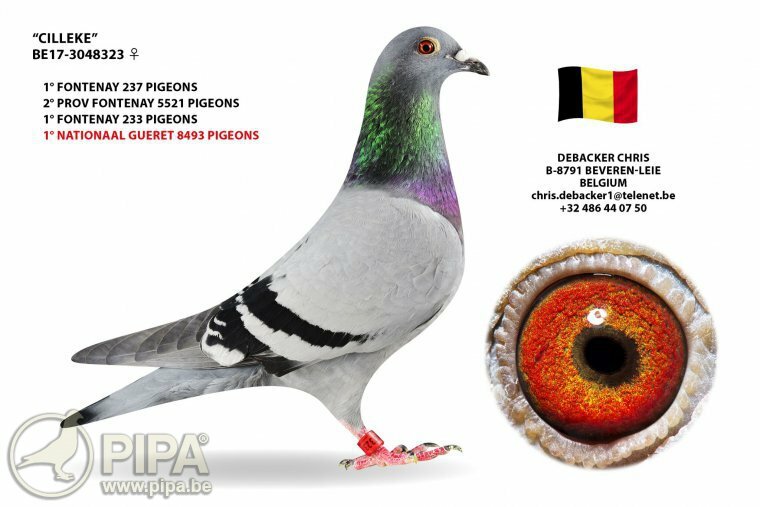 The one year old hen Cilleke delivered the most notable result of 2018 in Beveren-Leie, claiming a national first prize from Gueret of 8493 pigeons! You can find Cilleke's pedigree here. As you can see, both parents of this national winner come from Rik Cools from Ruiselede. Chris and Rik have been good friends for quite some time now, and they exchange pigeons quite often. This of course benefits both lofts. Cilleke showed her talents as a youngster in 2017 with two victories from Fontenay, and she was ready to excel as a yearling the following season. Click here for Cilleke's pedigree. Fellow loft mate Camillo (3094439-17) has been highly successful as well. This racing bird has won an impressive 10 (!) first prizes. This is another very talented bird with Vandenabeele origins, as you can tell from his pedigree. The renowned Bliksem of Vandenabeele features in the pedigree of this super class bird as well. Camillo became 3rd provincial ace pigeon shorter middle distance olds + yearlings in 2018. Camillo's list of achievements, including his 10 victories, can be found here. Another star in this team is Cesar (3094389-17). This pigeon has claimed a provincial first prize as well. His pedigree can be found here. He is a talented racing, with quite a list of achievements already. 24/06  Clermont : 1° of 401 p.
07/07  Clermont : 1° of 362 p.
11/08  Pontoise : 1° of 597 p. and prov. 4 of 14427 p.
18/08  Pontoise : 1° of 303 p. and prov. 13 of 9630 p.
01/09  Pontoise : 1° of 342 p. and prov. 10 of 6106 p.
This is fabulous: 5 victories and provincial top prizes. This is an impressive coefficient that will not soon be beaten we think. Click here for Dynamite Dana's pedigree; her impressive palmares can be found here. 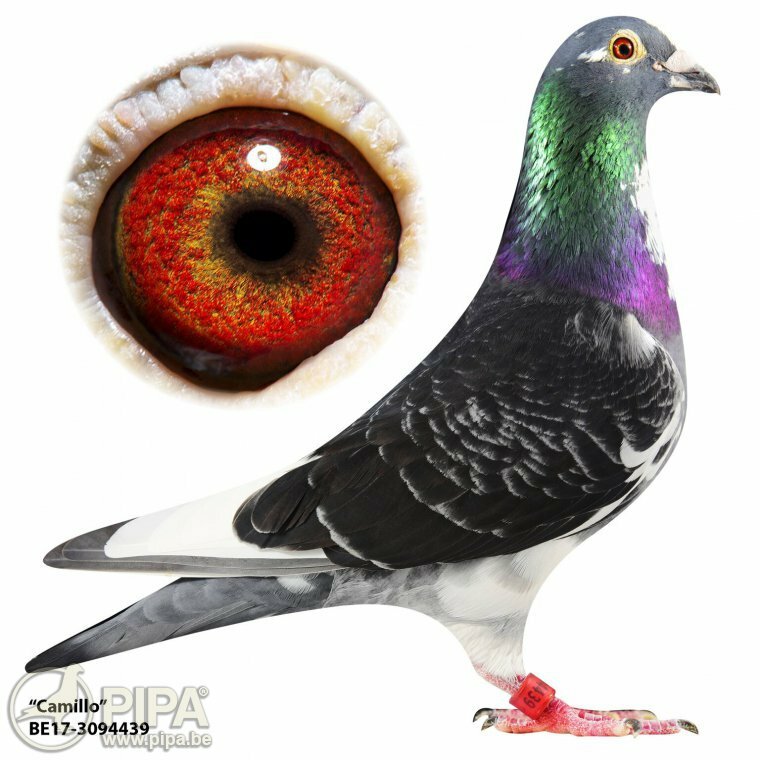 Due to an unfortunate mistake in sending in the results of this super class pigeon, she missed out on a top result in the national ace pigeon championships KBDB. Keep in mind she was sidelined for four weeks due to a racing ban in Waregem and Zulte, in the middle of the racing season. In other words, she could have done even better this season. 2018 was yet another very successful season for team Debacker; they excelled regularly at regional, provincial as well as national level. They were outstanding with the olds, the yearlings and the young birds. They won the first three prizes in the young birds' races against hundreds of pigeons a number of times, and at one time they had the first five prizes in a yearlings'race. They also won the entire top 6 old birds on another occasion, giving their opponents a hard time indeed. Like we said, the team had one major setback this season: there was an outbreak of the Newcastle Disease in a number of poultry farms nearby, which resulted in the team being banned from racing for four consecutive weekends. In fact, the team was in peak form just when the ban was put into place. We reckon they could have won many more top results over these couple of weeks. Nonetheless, the racing team mananged to excel again in the closing part of the season, right after the ban was lifted, which is impressive. They claimed for instance a provincial first prize in late August, now from Poitiers. This was not an easy feat, because having to keep your pigeons at home in mid-season can really impact their form. This shows again how talented this breed is! Click here for the results of 2018. 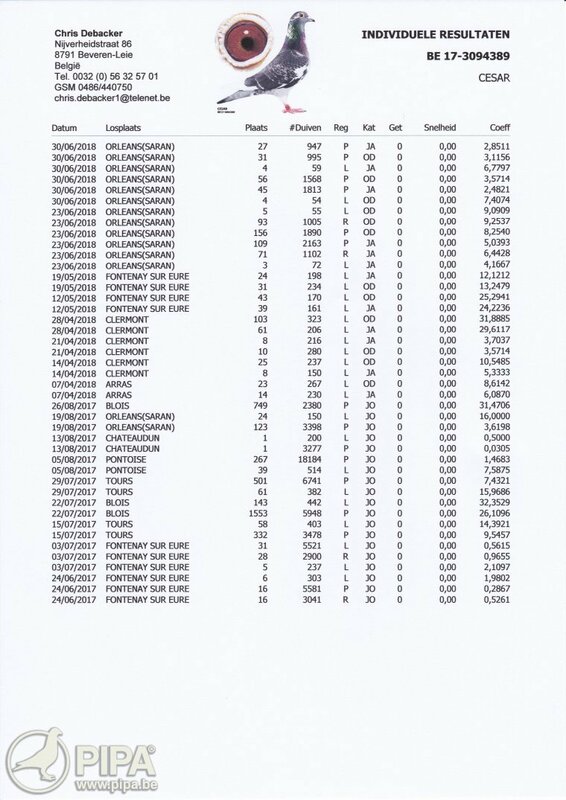 The team claimed the following top results in the provincial ace pigeon championships in West Flanders: 1st sprint young birds, 3rd shorter middle distance + yearlings, 7th longer middle distance yearlings. You can tell that this team has everything it takes to continue winning races for years to come. Chris Debacker has earned his place among our sport's top performers, and he is not intending to back down.